A cheerful entrance invites you to come in for a night in Italy. The tiny, attractive space is decorated with a few tables and a bar - all red and brown. Everything here breaths cosyness. Pasta and pizza are kneaded, cut and topped by hand. De love and hospitality the owner brings in complete the picture! 1 chef cooking for 20+ guests, credits to him! A great find! 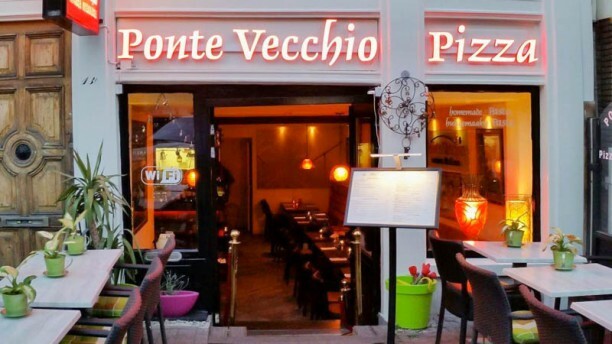 Proper Italian restaurant, friendly service and delicious food. We had the porcini tagliatelle and pizza, the pizzas are so crispy and thin, absolutely superb! Small restaurant with nice decoration. Owner held our table for us even though we were 20 minutes late because of a tram delay. Food was great, and the house wine was really good. The dining experience was wonderful. We ate early so the restaurant was not busy. The owner greeted us and provided excellent service. The food was very good and fresh. Very good food. Had a bistecca delicious meal and was very pleased with his liver i recommed it Charing &reasonable price.